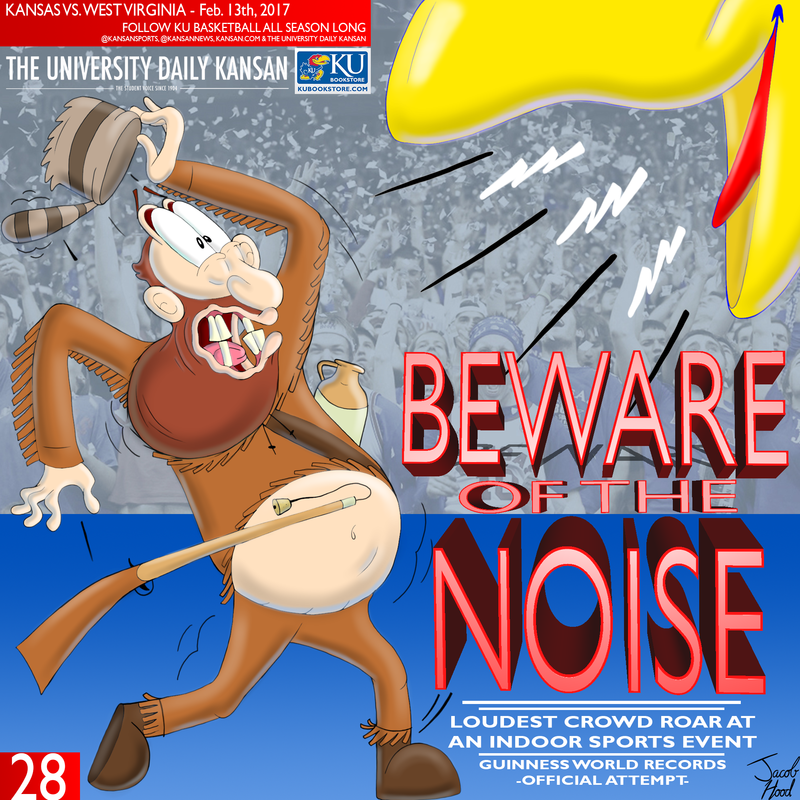 Big Jay roars away the Mountaineer in this special University Daily Kansan Basketball Gameday Poster, held up by thousands of KU students at the 2017 home game against West Virginia. This poster commemorates KU's attempt to set the Guinness World Record for "loudest crowd roar at an indoor sports event" in Allen Fieldhouse on Feb./13th/2017. "BEWARE OF THE NOISE"